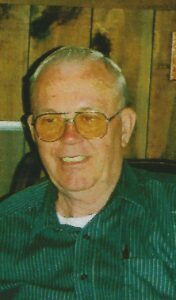 LEWISTON – Mr. Walter Andrew Textor, Jr., 89, died Wednesday Feb. 6, 2019, at the Central Maine Medical center in Lewiston. LEWISTON – Mr. Walter Andrew Textor, Jr., 89, died Wednesday Feb. 6, 2019, at the Central Maine Medical center in Lewiston. He resided on Center Street in Auburn. Born in Point Pleasant Borough, N.J.. on June 24, 1929, he was a son of Walter and Blanche (Cottrell) Textor. He was a graduate of Freehold High School in Freehold, N.J., class of 1949. He served in the United States Air Force from 1950 to 1954 during the Korean War. Walter was a salesman for Autowise The Parts Place, he also owned and operated the Wagon Wheel Antique Shop in Oxford for many years and was a courier for FISC Security. He was also an avid bowler. Walter was married on Feb. 2, 1952, to Elizabeth Ann Lohnes who survives of Auburn. He is also survived by many wonderful nieces and nephews that he cared for very much. He was predeceased by his parents, two sisters Dorothy Reed and Mildred Reid, and a brother Dean Textor, all of New Jersey. Graveside services will be held in the spring at Pineview Cemetery in Roxbury. Arrangements are under the direction of the Meader & Son Funeral Home, 3 Franklin St., Rumford.